When an artist begins, they try to bury him with neglect. When he gains a small foothold, they try to bury him with criticism. When he becomes more established, they try to bury him with covetous disdain. When he becomes exceptionally successful, they try to bury him with dismissals as irrelevant. And finally, all else failing they try to bury him with honors! 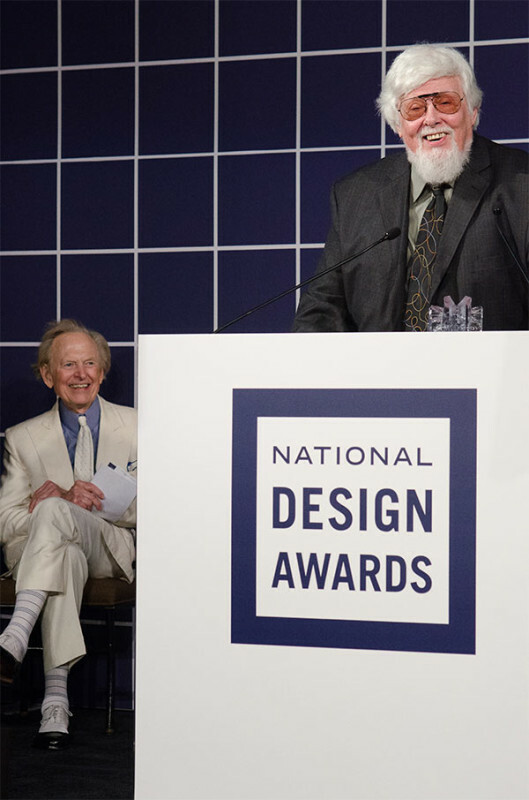 This is how James Wines of SITE, quoting Jean Cocteau, accepted his 2013 Lifetime Achievement Award from the Cooper-Hewitt National Design Museum at their National Design Awards. Wines joined a 'Lifetime Achievement' group that includes Richard Saul Wurman, Bill Moggridge, Paolo Solari, the Vignelli's, Dan Kiley, and Frank Gehry. Last night's awards program was a special one as the Museum—led by its new director, Caroline Baumann, and an indefatigable team—worked throughout the government shutdown of the least two weeks to put on a spatular gala that gave awards to designers that included Janette Sadik-Khan, Michael Sorkin, Studio Gang Architects, Paula Scher, Aidlin Darling Design, and Margie Ruddick. These figures each asked a special commentator to introduce them. 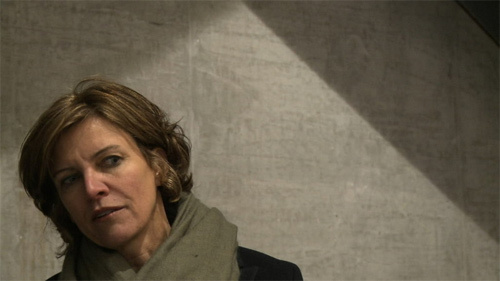 Theaster Gates presented Jeanne Gang from Chicago and Michael Kimmelman said that Michael Sorkin was the first person he spoke to when he decided to be the New York Times architecture critic. Sorkin accepted his award for "Design Mind" with a powerful tribute—as only he can—to his late friends and intellectual mentors, Lebbeus Woods and Marshall Berman. Al Gore presented the TED Talks with an award and finally it was left to Tom Wolfe to introduce James Wines, who he said had created the "first really new architecture after modernism" in his famous Best Stores which "added nothing to the architecture" only re-arranged what was already" as in his Best 'Notch' project in suburban Sacramento, California. Wolfe claimed that Wines wanted to replace "plop art" like formal plaza sculptures by Henry Moore and Isamu Noguchi with a new form that put the art onto the architecture. Its about time that Sorkin, who is our greatest living architecture critic to not have been awarded a Pulitzer Prize, and Wines, who is not a registered architect, to be given an award as a great architect. Art fairs serve three groups of clientele: the rich, who buy the art, curators and museum folks, and the poor—students, freelance writers, party-crashers. You can probably guess that Eavesdrop is in the latter, not the former, so imagine the disappointment when champagne was going for $19 per glass on opening night of Expo Chicago. Seriously, what happened to the days of all-you-can-drink Grolsch or Basil Haydens way back in Art Chicago’s past? The sticker shock should be from the gallery price lists, not the bar. While standing in line, Eavesdrop was flattered to be recognized by James Geier of 555 International, who hinted at a slew of new projects and fall openings. Hopefully those openings will allow the 99 percent to imbibe. The art fair’s environment, layout and scheme, was designed by Studio Gang, although we can’t say that we were able to discern a noticeable imprint. New York Times architecture critic Michael Kimmelman waded into the controversy embroiling Chicago’s old Prentice Women’s Hospital Wednesday and wound up soliciting a unique solution from Jeanne Gang that has already garnered praise from the coalition of preservationists fighting to save the building from demolition. Noting the “familiar” tone of the dispute between landowner Northwestern University, who wants to demolish Prentice to make way for up to 500,000 square feet of medical research facilities, and preservationists seeking landmark status for the distinctive 1970s Bertrand Goldberg structure, Kimmelman called for a third approach: incorporate old Prentice into a new design on the site. As the pendulum begins to lean towards demolition, with 42nd ward Alderman Brendan Reilly saying he supports Northwestern’s decision, the critic asked Gang what she thought. 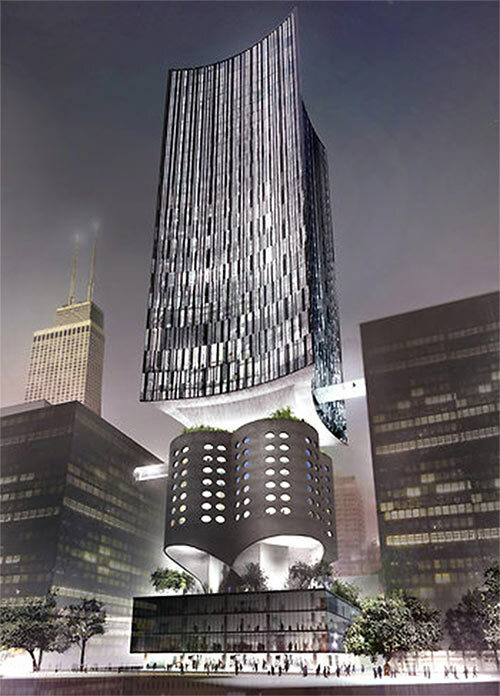 Gang, who previously signed a letter of support for the movement to save Prentice, whipped up some concept drawings for a curved 31-story skyscraper that would sit atop Goldberg’s iconic quatrefoil. 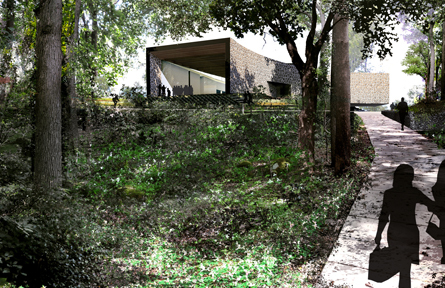 The architect said her design was meant to “[open] up a dialogue,” not serve as an actual proposal from her studio. 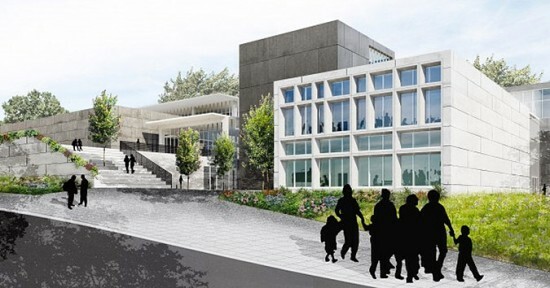 In delivering on Northwestern’s specs for a new building while elegantly playing off Prentice’s structural strengths, however, she has reinvigorated the preservationists’ call for alternatives to erasing Prentice outright. Kimmelman’s comments and Gang’s concept come the same day Mayor Rahm Emanuel, whose power to appoint members of the commission on Chicago landmarks gives him a great deal of say in such matters, is quoted in the Sun-Times wistfully conceding, “There may not be a common ground or a third way.” If he is indeed committed to compromise, the mayor now has a middle ground to consider. 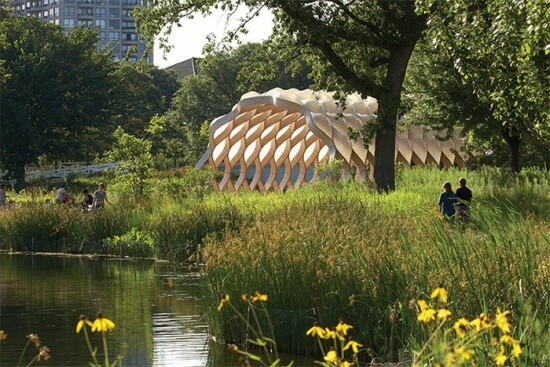 It’s been (another) terrible year for Jeanne Gang! From being awarded the MacArthur Genius Grant to starring in the just opened solo exhibition, Building: Inside Studio Gang Architects, at the Art Institute, there appears to be no slowdown in Studio Gang momentum. Of course, Eavesdrop stopped by the opening and we have a few things to say. The first has little to do with Jeanne and more with the Art Institute. Their openings are always so snoozy! Get more of the students and younger folks in there, in addition to your stodgy museum patrons! We probably wouldn’t have stuck around long, accept a little bird told us that Mayor Rahm Emanuel would be making an appearance and we wanted to see how short he is in real life. Zoë Ryan, the museum’s chair of the department of architecture and design, looked nervous awaiting Rahm’s arrival, while Jeanne looked quite at ease, milling about in a really cute dress. One of the hottest architects in the world is certainly in the same power echelon as the mayor of the Second City. In news that will surprise no one, Studio Gang is getting the star treatment by the Art Institute with a monographic show planned for fall 2013. 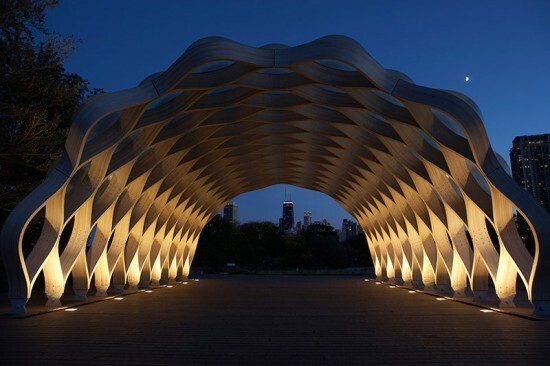 Eavesdrop is certainly not immune to Jeanne Gang’s charms, nor do we dispute her talent, but her work is exhaustively covered in these pages and every other design publication as well as prestige glossies like The New Yorker. 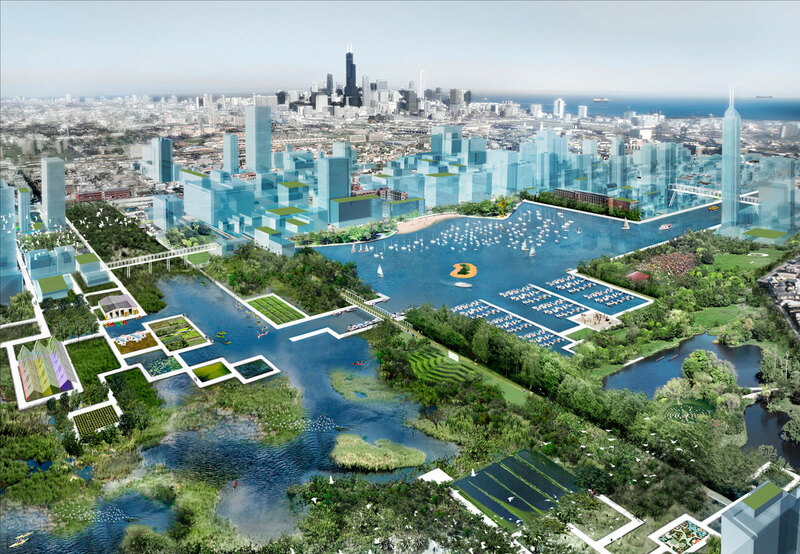 Last year, Studio Gang released a monograph of their work, as well as a book-length design proposal for the Chicago River. The firm’s contribution to MoMA’s Foreclosed exhibition just opened. Zoe Ryan and her team at the AIC, then, have given themselves a difficult task: how to show or say something new about the MacArthur-anointed genius architect. And next time, AIC, shine the spotlight on someone a bit less exposed! Watch Jeanne Gang: The Sky's the Limit on PBS. See more from WTTW DOCUMENTARIES. Still riding the wave of publicity following her recent MacArthur genius grant win, Jeanne Gang gets the full star treatment from Chicago's public TV station WTTW. 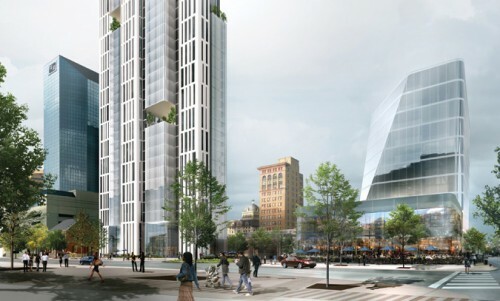 This documentary, "Jeanne Gang: The Sky's the Limit," is all praise. Blair Kamin and Stanley Tigerman figure as her head cheerleaders. It would have been nice to have someone puncture the bubble a bit, possibly interrogating Gang about architect's limits, rather than merely presenting the discipline (and Gang as one of its leading lights) as a environmental and societal savior. The documentary does show some engaging glimpses of Studio Gang's working methods and office style, so there's plenty to enjoy, even for the (mild) skeptics. 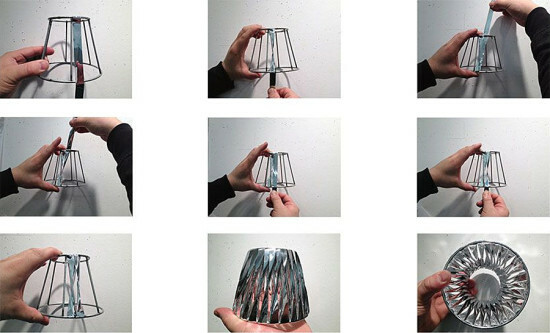 Studio Gang has long partnered with nonprofits and community groups to realize their unconventional designs. For her recent Harvard GSD studio, principal Jeanne Gang partnered with one of the nation’s largest environmental groups, the Natural Resources Defense Council (NRDC), to tackle an issue with repercussions across the northern Midwest: separating the South Branch of Chicago River to prevent invasive Asian carp from decimating the Great Lakes. “NRDC told us they were tired of just being against things,” Gang said, in a recent talk at Cooper Union in New York. “They want to be for things.” Gang and her GSD studio investigated the possibilities of returning the river to its natural course, the findings of which have been compiled into a book called Reverse Effect: Renewing Chicago’s Waterways (available from Amazon's and Studio Gang's website beginning November 7). With images as compelling as the one above, it’s easy to see why NRDC thinks partnering with designers is a smart advocacy strategy. For Gang and her students, a region-wide threat called for neighborhood-scale intervention. Such strategic thinking makes architects central players in addressing urgent societal and ecological problems. It never hurts to be essential. A reception for the book will take place tomorrow night at Architectural Artifacts, 4325 North Ravenswood Avenue, Chicago.